To be honest, the difference between the two loans is not much, the interest rate is all that differs. Subsidized loan is often, rightfully, viewed to be government aid to students who wish to fulfill their academic ambitions. One must note that, when it comes to subsidized loans, the merit of the student and his academic capabilities tend to be qualifying criteria for qualifying for such a loan. The concept of Federal loans basically, implies the loans that are given to people as financial aid, by the appropriate government. 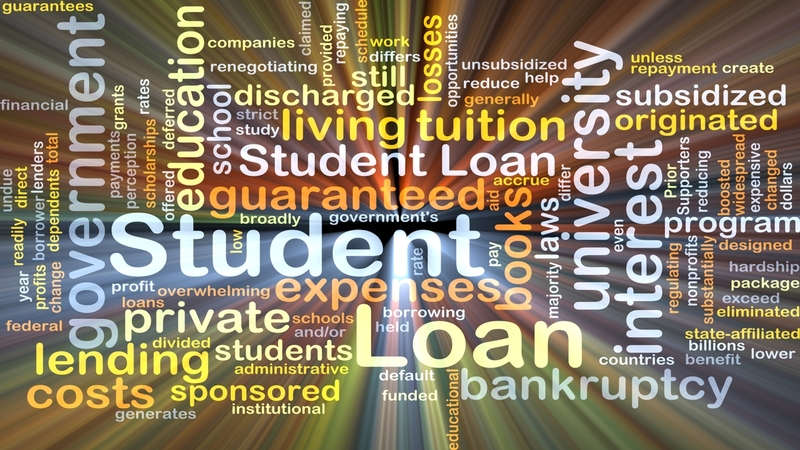 The most common loan that is given by the Federal government is a student loan. These loans are given so that students, can fulfill their academic ambitions, without having to face the hurdle of sky high cost of education. The Federal student loans are arranged for through U.S. Department of Education and almost all students become eligible for these loans. There are two channels through which the federal loans for students are disbursed to the students, namely, they are given to students directly or they are given to parents. Stafford, Perkins, and Direct student loans are given to students who are financially challenged, and also any other student irrespective of their financial condition. The amount that is disbursed depends upon the year that the students are attending and their financial conditions. Now the repayment schedule and the interest for subsidized and unsubsidized loans differ from one another. Subsidized student loans are usually given to the students who are not able to afford the educational costs. Subsidized Loan: Any subsidized loan that is provided by the federal government, indicates that the government would bear the cost of the interest rate for a certain time period. This process is known as subsidizing the interest rate. The basic rule for all federal loans (especially for students) is that the government undertakes the cost of the interest till the student passes out of the educational system. Following this, a small grace period is provided, after which the student is supposed to pay off the installments plus the interest on installments and the interest that had been subsidized by the government. The process of repaying after the course work is finished, is often referred to as deferment of the loan. Unsubsidized Loans: Unsubsidized loans do not have the provision where the interest is taken by the government. Here the interest payment starts as soon as the loan is sanctioned or as soon as the prescribed time period starts off. Installations start immediately after the student graduates. Most of the private loans are unsubsidized. There are some federal loans such as PLUS, Stafford and Perkins, which are also given out as unsubsidized loans. If you are looking for a good student loan which is unsubsidized, then applying to recognized and prominent banks, with either of your parents as a cosigner is recommend. You will get such a loan at a good, or rather lowered interest rate and reasonable terms and conditions. The amount of the loan that is lent out by the government also depends upon the application of the subsidiary. For example, freshmen who qualify for the subsidized loan get $3,500 annually whereas dependent freshmen, get $2,000, whereas independent freshmen get $6,000. Eligibility and disbursement is bound to differ from loan to loan. However, almost every student is eligible for some or the other financial aid. The best way to manage federal loans, both subsidized and unsubsidized, is to accumulate and save the amount as soon as the interest accrues, and pay it off as soon as it becomes due. The advantage of such a mechanism is that, all timely payments of interest and installments, contribute to your credit score and ratings. Hence you will not have any sort of problem while applying for financial aid, if you plan to postgraduate or do a PhD. In fact, by the time you pass out from college, you will have a great credit score and rating.